It ain’t over ’til the fat lady sings, but she’s warming up. American Idol‘s 15th and final season kicked off tonight, on FOX. To serenade you through the American Idol TV series finale credits, FOX has released information on all the highlights of the last season. Tonight’s premiere featured auditions in Denver and Atlanta. Tomorrow (January 7), American Idol hits San Francisco and Little Rock. 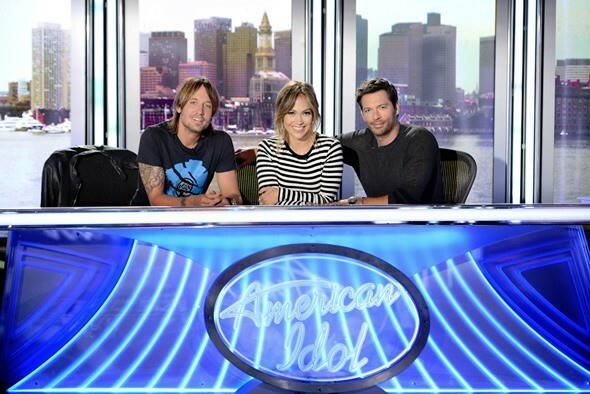 For three weeks, Ryan Seacrest and judges, Jennifer Lopez, Keith Urban, and Harry Connick, Jr., will search for the 15th Idol. Former Idols Nick Fradiani, Taylor Hicks, Ruben Studdard, Clay Aiken, Kris Allen, and Lee DeWyze, are set to appear. “AMERICAN IDOL’S” FAREWELL JOURNEY BEGINS TONIGHT AS AUDITIONS KICK OFF IN DENVER AND ATLANTA! AMERICAN IDOL’s farewell season kicks off tonight, with auditions from around the country. For three weeks, the judges – Jennifer Lopez, Keith Urban and Harry Connick, Jr. – and host Ryan Seacrest will travel to Atlanta, Denver, Little Rock, Philadelphia and San Francisco in search of the 15th IDOL. During auditions, former IDOLS, including Nick Fradiani, Taylor Hicks, Ruben Studdard, Clay Aiken, Kris Allen and Lee DeWyze, also joined in the search. Tonight (8:00-10:00 PM ET/PT), the show heads to Denver and Atlanta, followed by auditions in San Francisco and Little Rock tomorrow, Thursday, Jan. 7 (8:00-10:00 PM ET/PT); Philadelphia, Wednesday, Jan. 13 (8:00-9:00 PM ET/PT); Denver and Little Rock on Thursday, Jan. 14 (8:00-10:00 PM ET/PT); Atlanta, Little Rock, Philadelphia and San Francisco on Wednesday, Jan. 20 (8:00-9:00 PM ET/PT), with final stops back in Atlanta, Philadelphia and San Francisco Thursday, Jan. 21 (8:00-10:00 PM ET/PT), on FOX. Beginning Wednesday, Jan. 27 (8:00-9:00 PM ET/PT), the nation’s most talented singers head to IDOL’s Hollywood Week for a shot at wowing the judges one more time. Hollywood Week continues on Thursday, Jan. 28 (8:00-10:00 PM ET/PT) and Wednesday, Feb. 3 (8:00-9:00 PM ET/PT). Only the “best of the best,” will make it to the “showcase” round, during which they will take the stage for the “The Final Judgment” airing Thursday, Feb. 4 (8:00-10:00 PM ET/PT), that will reveal America’s Top 24 semi-finalists. Then, for three weeks beginning Wednesday, Feb. 10 (8:00-9:00 PM ET/PT), and Thursday, Feb. 11 (8:00-10:00 PM ET/PT), fan-favorite IDOLS will return to mentor and sing with the Top 24. The semi-finalists will be narrowed down by the judges, Wednesday, Feb. 24 (8:00-10:00 PM ET/PT), leading to the announcement of the Top 10 on Thursday, Feb. 25 (8:00-10:00 PM ET live /PT tape-delayed), and their first performances. The competition heats up for the final crown the following week on Thursday, March 3 (8:00-10:00 PM live ET/tape-delayed PT), when the competition airs only one night a week until the Grand Finale week. The three-night Grand Finale week kicks off on Tuesday, April 5 (8:00-9:00 PM ET/PT), with “AMERICAN IDOL: American Dream,” a one-hour retrospective episode, featuring Seacrest, current and former judges, contestants and the behind-the-scenes team sharing their IDOL memories. Then, the series will bid farewell when the remaining finalists battle it out live from the Dolby Theatre on Wednesday, April 6 (8:00-9:00 PM live ET/tape-delayed PT). On Thursday, April 7 (8:00-10:00 PM live ET/tape-delayed PT), the 15th AMERICAN IDOL will be crowned and the farewell celebration will continue, as IDOL pays tribute to the past 15 seasons, the amazingly talented contestants and the millions of fans who called, tweeted, texted and championed their IDOLS. AMERICAN IDOL is produced by FremantleMedia North America and 19 Entertainment, a division of CORE Media Group. The series was created by Simon Fuller. 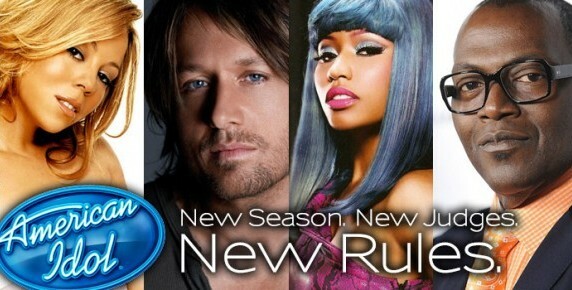 “Like” AMERICAN IDOL on Facebook at facebook.com/AmericanIdol. Follow the series on Twitter @AmericanIdol and join the discussion using #idol. See photos and videos on Instagram by following @AmericanIdol. All episodes of the current season of AMERICAN IDOL will be available on FOX NOW and Fox on Demand to subscribers of participating pay-TV services. To learn more about FOX NOW, please visit www.foxnow.com. What do you think? Do you like the American Idol TV show? Do you think it should be ending? Had it been renewed, would you have watched a 16th season?